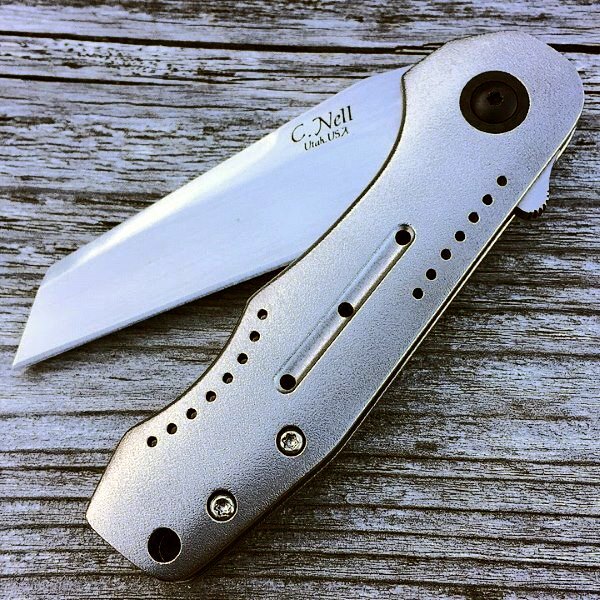 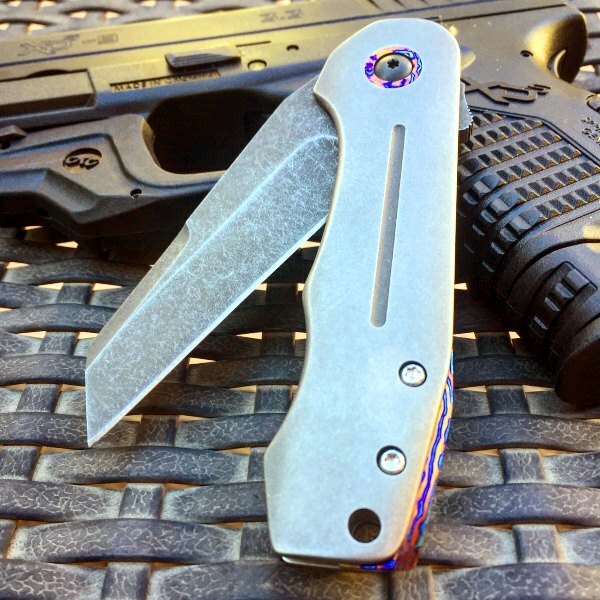 Introducing our MB-1 Custom Folder Knife. 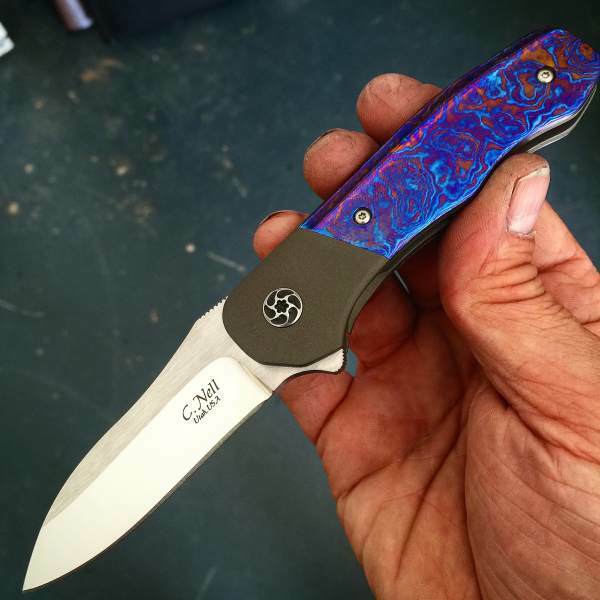 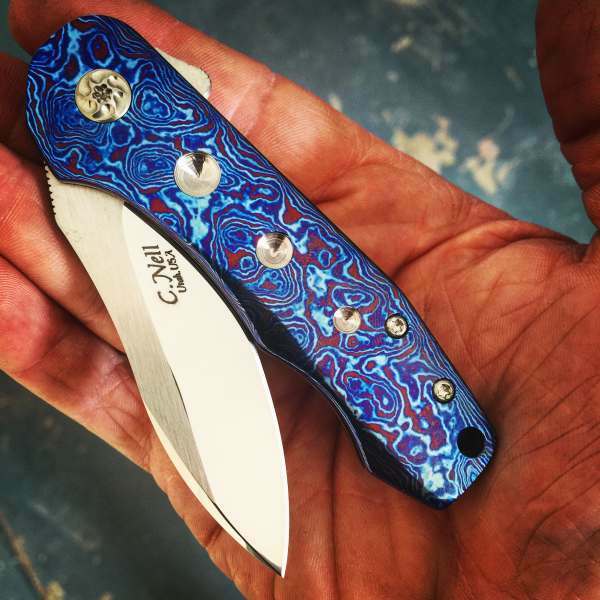 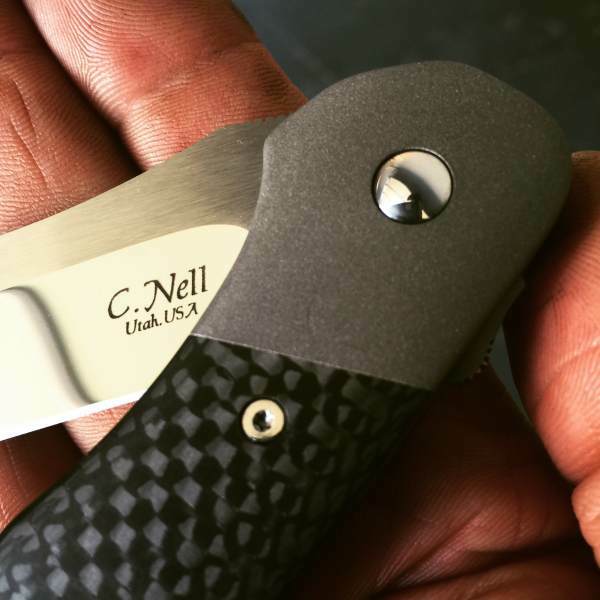 This is another example of a beautiful custom folder type knife. 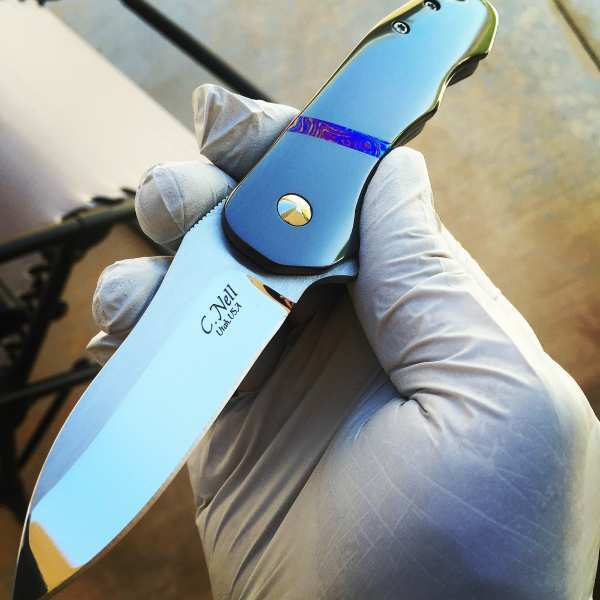 The MB-1 style has become the most sought after custom knife I make. 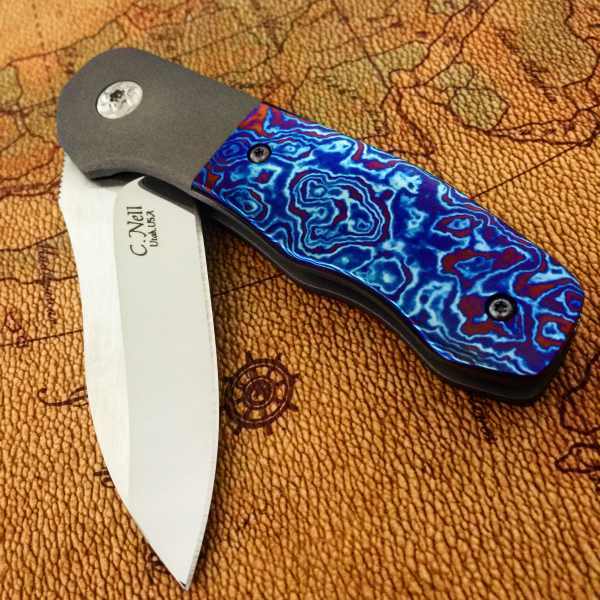 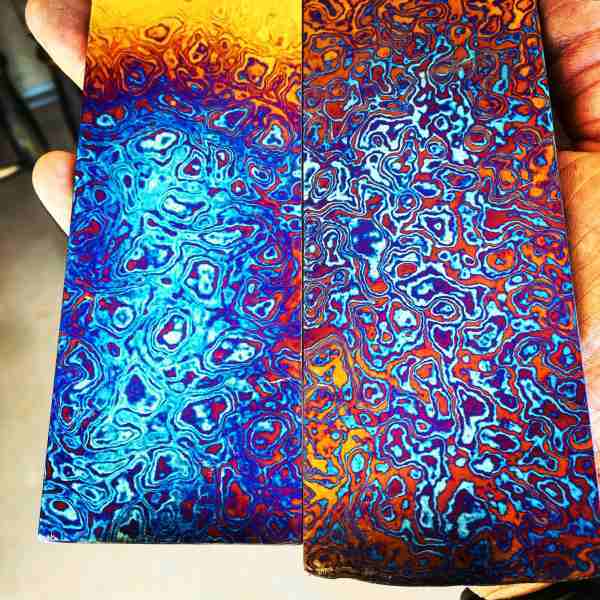 Amoeba Timascus in the "Raw"
Amoeba Tamascus Scales in the "Raw"
The above photograph shows an Amoeba Timascus Scale, before I design it into a custom knife. 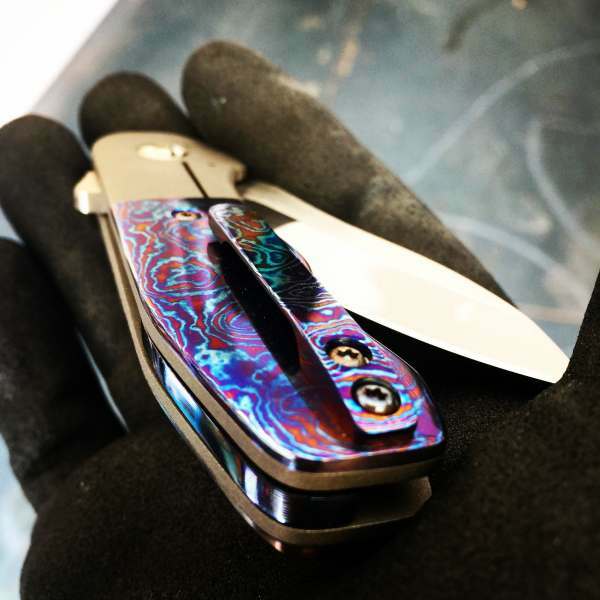 As you quickly notice, each piece is unique and requires some very careful planning and designing before it becomes part of a custom knife. 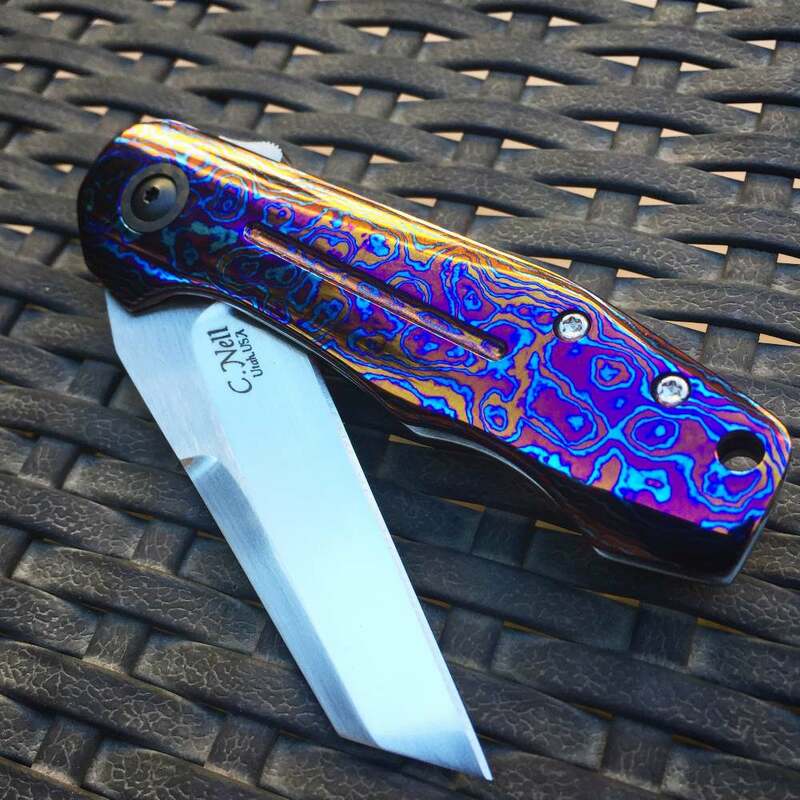 The uniqueness of it, also adds to the beautiful appearance it provides when I have completed a knife.